Introductory explanation from Creation Ministries International: We make these public comments with a heavy heart, and with the overriding emphasis that our intention is not personal attack. Our mandate is to defend the faith, and the authority of Scripture. We have long believed that (and explained why) one of the most dangerous attacks on biblical authority in evangelical circles today is ‘progressive creationism’. This widespread compromise with the plain words of Scripture is capable of immense harm, precisely because it is proclaimed as being done in the name of upholding Scripture. The issue is so vital, as it involves the way we handle the very Word of God. We need to be like the Bereans commended by Paul in Acts 17:11, checking the Scriptures about all such matters. Unfortunately, however, we have over the years observed instances of Christians, including prominent leaders who influence others, being misled by Ross. If it were just a matter of a mistaken opinion it would still be a problem, but it is particularly serious because of the frequent pattern of bluff/bluster, using authoritative-sounding statements on such things as the grammar of the original Hebrew, etc., which most Christians do not have the ability to check, or just do not bother to check. When Ross recently used such tactics in front of large numbers of listeners (debate with Dr Kent Hovind, John Ankerberg Show, Oct. 2000), Ken Ham and I commented in a webcast (9 Nov. 2000) on a number of outright errors he made. In response, rather than retract, Ross ‘came out fighting’ to a large radio audience (11 Nov.), once again using smooth-sounding authoritative bluster to make it seem in each case as if CMI had made the mistake. If we had, we would retract immediately. There is no shame in that. But now that Ross has ‘thrown down the gauntlet’ so openly, we feel it is not only appropriate, but vital to go into detail in exposing, not his errors for their own sake, but his tactics. Because many thousands of people are being led astray by smooth-sounding words of apparent reason and authority. We have seen the devastating results when people fall down the ‘slippery slide to unbelief’ when they start re-interpreting God’s infallible Word with man’s fallible opinions, e.g. the former evangelist who once excelled even Billy Graham, Charles Templeton. People in public ministry, making public statements, need to be prepared to have false teaching rebuked in public (Galatians 2:11 ff.). This is especially legitimate when the false teaching is so emphatically repeated, and the charge of falsity laid at the door of those who exposed the error. Please read the following material prayerfully and carefully. The leading ‘progressive creationist’ Hugh Ross has long opposed the plain teaching of Genesis, i.e. creation in six normal days about 6000 years ago, and a global flood. His whole approach is to interpret the infallible Word of God to fit in with the theories of fallible men who teach billions of years. However, the creation is cursed (Genesis 3:17–19, Romans 8:20–22) and man’s heart is deceitful (Jeremiah 17:9) and the thinking of a godless man is ‘futile’ (Romans 1:21), while Scripture itself is ‘God-breathed’ (2 Timothy 3:15–17). So a biblical Christian should not re-interpret the perfect, unfallen Word of God according to fallible theories of sinful humans about a world we know to be cursed. Further, truth is certainly not decided by majority vote, despite Ross’s continual appeals, because the majority has often been wrong (cf. Romans 3:4, Matthew 7:13–14). In the case of Dr Ross, there are even more reasons to be sceptical, because he has many times said things that are doubtful or just plain wrong. Unfortunately, many Christians are misled by the confident ‘smooth authority’ with which such demonstrably false claims are made. In a recent article,1 as well as in his debate with Kent Hovind on the John Ankerberg Show aired in October 2000, Ross demonstrated this common pattern in his ministry by making statements that were clearly wrong, not just a matter of interpretation. Ken Ham and I, on the webcast of 9 Nov 2000, pointed out a number of these errors. Ross responded in a radio broadcast on 11 Nov, correctly realising, as the announcer said, that his ‘competence and credibility’ was on the line here. He clearly and unequivocally denied being in error, and clearly portrayed our commentary as false and misleading. He also offered seemingly persuasive reasons to trust his credibility. In other words, the issue is not some slip or two (anyone can make mistakes, ourselves included) but the issue has crystallized into one of basic trustworthiness and reliability: either we are misleading people wholesale, or Ross is. bore false witness by claiming that creationists believe that the Flood eroded mountains from about 20,000 feet to far less, then they rapidly rose again. The first time he made this claim, it could have been unintentional violation of the 9th Commandment, although it’s hard to imagine how he picked up the idea when no creationist of whom I’m aware has ever taught this. But The Genesis Question repeated the claim after Ken Ham had rebuked Ross for it, so in this case, the violation could only be intentional, that is, if Ross were really serious that he has tried to understand where we’re coming from. This is a grave issue, not because of our personal reputations, but because it ultimately involves the integrity and authority of Scripture. If we are correct in our repeated assessment, people are being misled not only by a mistaken position (‘progressive creationism’), but also by unacceptable tactics used to justify that position. Here I outline four clear errors Ross proclaimed during the Hovind debate or his later broadcast, and show why his attempted rebuttal to these errors is fallacious. It is also helpful to note his typical rhetorical techniques so people will beware of them in the future. To set the scene, in the debate with Hovind, Ross raised the old ‘distant starlight’ canard, and claimed that the distance to a quasar had been measured up to 6 billion light years (ly). Hovind queried whether Ross could be so sure that the distances should be proclaimed so dogmatically. What’s important to note is that there is no way of getting around the fact that the distances to many heavenly bodies are much greater than 6000 ly. In fact, although there are some anomalies in using red shifts as an indicator of distance (see Galaxy-Quasar ‘Connection’ Defies Explanation), vast distances are indisputable, otherwise the huge number of stars in a tiny volume would fry us! So I advise creationists not to quibble too much about measurement uncertainties, and instead use another way of explaining how light could arrive from distant stars. Preferably, creationists should study this chapter (5) of The Creation Answers Book, How can we see distant stars in a young Universe? It’s fair to point out that Hovind never said that the distances were not real, and agreed ‘they probably are’. And he correctly pointed out that a light year is a measurement of distance only—the distance light can travel through a vacuum in a year (9.5 x 1012 km)—not a measure of time. It requires a number of assumptions to claim that large distances mean a great age of the universe. In this case, Hovind’s query resulted in Ross showing that he makes mistakes on simple matters even in his own professed field of expertise. Yet Ross regularly speaks ‘authoritatively’ on issues such as genetics, anthropology and Hebrew, in which, we would claim, he also makes massive misstatements of fact. Ross understands what the paper is teaching. Moderator (Ankerberg): What in the world does that mean? Ross: That’s a quasar that’s six billion light years away. Moderator: But how do you know it’s six billion? Hovind: Okay, and I taught trig, explain this to me. You could say that with trigonometry you can measure six billion light years. Hovind: I just flat don’t believe you, I’m sorry. Ross: Okay. It’s not just the diameter of the earth’s orbit that’s going [Interjections] The reason why we’re able to do this now and not five years ago is we now have telescopes with extremely high resolution … that can measure angles to better than a ten thousandth of an arc-second. This is what gets you out so far. We’re no longer limited to five hundred light years. We can measure all the globular clusters in our—the Hipparcos satellite did that—got us out to the globular clusters, but radioastronomy is getting us out to galaxies and quasars. Later on, Ross referred to the technique as ‘high school trig’. Interestingly, just before hearing this debate, I had read a paper submitted to the Journal of Creation by astronomer Dr Danny Faulkner, where he discusses Ross’s recent article4 and says: ‘Hugh Ross has demonstrated once again that he either did not carefully read the articles that he referenced or did not understand their content.’ In the article, Ross seemed to be making the blunder that parallax was used to determine the distance to 3C 279. But while strongly implied by Ross, it wasn’t stated directly. However, the above statements in the debate with Hovind show that Ross really did state it directly, so Dr Faulkner cannot possibly be accused of misrepresenting him. This term (sometimes called triangulation) is always used to refer to what is explained on the diagram on the right. As the Earth orbits the Sun, the angle at which a star is observed changes slightly—this is called parallax. The parallax angle is defined in the diagram. An equivalent definition is half the angle the star subtends the entire diameter of the earth’s orbit, which can be worked out from observations half a year apart. (d = 150 × 10⁶ km/ tanθ). In fact, the angles involved are tiny even for the closest stars, so the diagram could not be drawn to scale. For the tiny angle of 1 second of arc (symbol 1″ — defined by 1° = 60′ (minutes) = 3600″ ), the distance is called a parsec (from parallax second, symbol ps) = 30 × 10¹² km = 3.26 ly. The closest star (apart from the Sun) is Proxima Centauri, with a parallax of 0.76″ . Because there is a limit to how small an angle we can measure, this method is good only for stars up to about 600 ly. Also, because at tiny angles, the tangent of an angle is almost linearly proportional to the angle (or equal to the angle in radians), astronomers usually use the ‘small angle approximation’ d = 1/p where d is the distance in parsecs and p is the angle in arc seconds. The point is, if Ross had actually performed the ‘high school trig’, he would have found that an angle of a ten thousandth of an arc-second (10⁻⁴″) couldn’t possibly measure any distances over 33,000 ly! This is almost 1/200,000th the distance to the quasar! To measure the distance to 3C 279, we would need the precision to measure an angle of 5.53 × 10⁻¹⁰″! Even the much closer NGC 4258 has a trigonometric parallax of 1.39 × 10⁻⁷″, which is too small to be detected. So Ross has clearly not understood what the paper5 claimed. Ross: The only direct measurements researchers have had for stellar distances are those based on trigonometry (specifically, a method called ‘trigonometric parallaxes’). DF: They meant that their distance did not depend upon the assumption of any standard candles, such as Cepheid variables or type Ia supernovae. The methods used to find the distances of this galaxy and quasar are very similar, and could be better called “geometric distances”, as did the article on NGC 4258. The geometric method made use of transverse motion in either object. In the case of the quasar this was the motion of a jet, or blob, of material. In the case of the galaxy the transverse motion was that of rotation of a disk of material in the nucleus of the galaxy. In either case some modelling of the moving body was required, which allowed a relationship between transverse motion and distance. The basic principle is that for a given transverse speed, objects at greater distances will have lesser observed transverse motion. For example, an automobile that passes very close will appear to be moving at a great speed, while an automobile that passes at some considerable distance will be observed to hardly move at all. This sort of approach has been used to find the distances of expanding objects such as supernovae remnants. The distance of the Crab Nebula, a very famous supernova remnant, has been known for decades based upon observed transverse motion in knots of material in the nebula and Doppler motion in the line of sight. The age can be estimated as well. All that one must assume is that the remnant is expanding uniformly in all directions. It is inconceivable that Ross could have mistaken these new distance measurements for trigonometric parallax had he actually read and understood the articles that he cited. The huge distances alone should have told him that trigonometric parallax was not possible for either of these objects. This is another example of how poorly Ross understands or mishandles information, even in a field in which he is supposed to be an expert. This should cause his supporters to question his conclusions not only in astronomy, but also in matters such as anthropology, speciation, Hebrew and theology where he clearly has no professional expertise. There is no way that the method used in the paper is just ‘high school trig’—this could only apply to the diagram above—so it’s clear that Ross didn’t understand what was going on, or if he did at the time, he gave no indication. Ross: Okay, well, neither of these gentlemen are astronomers. Ross is not a Hebrew scholar, anthropologist or biologist, but frequently makes claims about Hebrew (see next section for a recent blunder), extinct hominids— although there is hardly another field that is as widely disputed, and speciation (he claims that the biblical kind is equivalent to today’s species, and there is no speciation occurring—see Q&A: Speciation for evidence to the contrary). He said it was just ‘high school trig’, of which I am more than capable. Ross can’t have it both ways—saying that simple mathematics will prove his point, and when I disprove it with this very maths, saying that I have to be an astronomer to question him! Ross: They know I’m an astronomer and I have a good reputation in astronomy. The minimum they should have checked their claims with astronomers. That’s exactly what we did—in fact, it was the astronomy Ph.D. and Professor (at a secular US university) Dr Danny Faulkner who brought this to our attention, and we had the correct information to hand when we presented the 9 Nov webcast. Ross: They should have read the papers. I mean, I showed the papers on the Kent Hovind debate, the Ankerberg program debate. They should have at least looked up those papers and checked it out. Ross: The papers, by the way, have been posted on our website for several months. … But my bottom line point is, before they come up with a charge that I’m incompetent with astronomy, they should at least read the papers and see what’s going on here. Ross: Well, it really is a trig parallax type measurement, but their argument is if you’ve got a stationary point, then you can only go out so far with a trig parallax even with a resolution of a ten thousandth of an arch-second. But for example, this paper by Hernstein, et al., a geometric distance to the galaxy NGC 4258, it’s a geometric distance, which means they’re using a trig parallax type approach, but it is a (?) [means the tape is unclear] which is a point source that’s revolving around the center of this galaxy. He was extremely sloppy in writing on this, and is attempting to correct this after he was ‘called’ on it. He totally botched it and after some criticism (perhaps from friends rather than critics) he found out that he was wrong and is attempting to fix the problem. Either way it does not look good. Ross: I find it interesting, these gentlemen actually do concede that hey, the method is valid out to 30,000 light years … In another part of their show, and that’s enough to get past their chronology for the age of the universe. As shown above, I wasn’t ‘conceding’ anything, but rather plugging the number into the formula to show that Ross couldn’t be right. And as I’ve said, CMI agrees that there are stars a lot further out still, but point out that many light years don’t necessarily mean many years—see again How can we see distant stars in a young Universe? More importantly, Ross says ‘the method is valid’ in the context of both the quasar distance (which as shown is not trig parallax) and my calculation (which could only have been based on the triangulation diagram above). So it’s clear that he’s still confusing the two distinct methods, at least in the way he talks about them. One of our concerns is that often distinctions like this are blurred to Ross’s listeners in ways which are highly misleading, and it is hard to keep on being charitable by assuming that such blurring is accidental. This is yet another argument from authority. Who are these authorities, and what exactly do they say? But in any case, the Hebrew is against him. This can be shown by reading commentaries from before the time when ‘long age’ views became popular—e.g. see Q&A: Genesis under ‘Church Fathers and Reformers’. But when the uniformitarians like Hutton and Lyell claimed to have proved millions of years, some evangelical commentators felt the need to re-interpret Genesis to fit. On the other hand, liberals and neo-orthodox theologians like James Barr have always been far more open that Genesis really means what it says, because they deny biblical inspiration anyway. Leading theologian Douglas Kelly, in his book Creation and Change (right), cites a number of exegetes over the centuries that prove this point. Even the evangelical Hebrew scholars who deny six literal days admit that the text does seem to teach this, but they won’t believe it because it conflicts with ‘science’. And none of them argue in the bizarre way Ross does. Ross: In the sixteenth verse where it says so God made the sun, moon, and stars, it’s in the qal perfect form, it simply states the sun and stars were made at some unspecified time in the past. Here, Ross once again tries to intimidate his opponent by sounding very learned in the Hebrew. And once again, it is pure bluff (and was no isolated slip of the tongue, because repeated the claim several times). But it’s a simple question of fact, not interpretation, that the verb is imperfect, not perfect, as claimed. For non-Hebrew experts, this can be found by checking such Bible software programs like the Logos Tense/Voice/Mood add-on module (TVM), or J.J. Owens, Analytical Key to the Old Testament, vol. 1 (Baker, 1990). The type of verb can be determined by the precise form of the word. A Hebrew lexicon will give the 3rd person masculine singular qal perfect form, asah, as its basic entry (or lemma). Apart from this, the perfect form is usually identified by a suffix, while the imperfect form is identified by a prefix. For example, the 3rd person masculine singular qal imperfect of asah is ya’aseh. When the waw-consecutive is attached, it becomes wayya’as. The phrase in Genesis 1:16 is wayya’as elohim—‘and then God made …’, a waw-consecutive qal imperfect (also known as a preterite). So Ross’s argument collapses because he was totally wrong about the verb. Although it is waw-consecutive, the context makes it clear that it marks the beginning of an elaboration of the event just mentioned (‘And God said, “Let there be lights in the expanse of the sky …”’ v. 14) rather than a subsequent and, therefore, different event. Also, this context means that it cannot be interpreted to say: ‘God had made the sun, moon and stars at an unspecified time in the past and the atmosphere just cleared so they appeared’, despite the claims of Ross and the ostensibly ‘neutral’ moderator Ankerberg. Announcer (Krista Bontrager): And what about this charge about the qal-imperfect versus perfect, what’s, what’s that all about? Ross: Well, I mean, we published this in Facts for Faith, it’s just the last issue so people can get a look at it and see what it has to say. By the way, it’s an article that I co-authored with John Ray, so his name goes on the paper as well. He’s the one who suggested I write it and I did write it and he gave a very thorough critique of it. He endorses what’s in there, so if they’re gonna be charging me with error, they’re gonna charge him with error as well. Who is John Ray? He has not published in the leading evangelical theological journals like Journal of the Evangelical Theological Society, Westminster Theological Journal, Bibliotheca Sacra, The Master’s Seminary Journal or Trinity Journal. In any case, if what Ross says is true, i.e. John Ray agreed that Genesis 1:16: ‘God made the sun, moon, and stars’ is qal perfect,, then he also is incompetent in Hebrew grammar. Wayya’as is a waw-consecutive qal imperfect, regardless of what Ross or his so-called Hebrew experts say. So yes, we also charge John Ray with error, because that is exactly what it is. Ross: And I think the problem is, they must have been mis-reading or confusing the point. Why must we be mis-reading or confusing the point? Because we have shown that Ross is just plain wrong and therefore can’t be relied upon when dealing with the meaning of the original Hebrew? Ross offers no grammatical defense, just denial. No. Hugh Ross is mis-reading and confusing the point—or just plain lying! Ross: It’s that seven verses in the Bible teach that the universe undergoes continual ongoing expansion, and I mentioned in the text, or John and I mentioned, that seven of the verses of the eleven verses in the Bible put it in the qal active participle form, (?) in the verses, you can go to your Bible and check it out. Three of them put it in, pardon me, four of them put it in the qal perfect form, and one in the qal-imperfect form. And we give a fairly decent theological discussion of these eleven instances. This is just more pulling wool over people’s eyes. I wasn’t even talking about universe expansion. Rather, the only thing I could possibly have been referring to is the only place in Scripture he mentioned perfect and imperfect verbs on the Ankerberg show, and several times. That is, ‘In the sixteenth verse where it says so God made the sun, moon, and stars, it’s in the qal perfect form’. I made even made it perfectly clear in the broadcast which passage I was discussing. He refused to admit that he’s wrong, talked about a totally unrelated area, and once more appealed to authority. Does the Bible teach the big bang? Ross: … because what you see is eight times the Bible states that the universe was transcendently created, a transcendent beginning of matter, energy, space, and time, which is identical to the Big Bang concept of a singular beginning. And likewise in eleven different places in the Bible it tells us that the universe is continually experiencing ongoing expansion, you know, the stretching out of the heavens. It’s in the (?) participle form, this continual stretching out. First, even if these passages are teaching an expanding universe (which creationists don’t necessarily dispute), they say nothing about expanding from a singularity as required by the big bang (see some problems with the big bang in Q&A: Astronomy/astrophysics). Second, Ross is correct to claim that the verb ‘stretched’ is a participle in the Hebrew in places like Isaiah 42:5 and 51:13 in the context of ‘stretched out the heavens’, but his statement is a good example of ‘a little knowledge is a dangerous thing.’ His knowledge doesn’t go beyond what can be gleaned from, say, Tense-Voice-Mood on Logos Bible Software. But readers should beware of thinking that such tools tell us all we need to know about Hebrew grammar. The fact that major Bible translations have ‘stretched’ should have alerted Ross to the fact that his deduction was faulty. Bible translators have studied more advanced Hebrew grammar, and they realize that Hebrew participles only refer to continuous action when they are used adverbially. In Isaiah 42:5 and the other passages, the participles are used as verbal adjectives (i.e. adjectivally, not adverbially)—they describe a verbal action of the noun ‘The LORD God’. The participle functioning as an adjective expresses by itself neither time nor aspect, and thus can signify, according to context, he who stretched, will stretch, is stretching—either once, many times or continuously. In the context of the verses Ross cites, the participle doesn’t mean what Ross claims, so it is wrong to twist the text to support a currently popular secular theory that explicitly denies other parts of Scripture. I really must be skeptical of this claim of all these Hebrew scholars who are helping him, because these … Hebrew scholars couldn’t tell Hugh Ross the difference between a perfect and imperfect verb, and he gets singular and plural back to front in the Hebrew in discussing behemoth. … I would have thought a real Hebrew scholar would have been able to point out these really obvious blunders, and yet they’ve been allowed to go to print, and without any problem. Ross writes (p. 48 [of The Genesis Question]): ‘The Hebrew word for “behemoth” appears in its plural form, behema, …’ However, even beginners in Hebrew know that –a is often a feminine singular and –oth is a feminine plural. So Ross got it back-to-front: behema is the singular form, while behemoth is grammatically plural. It is a figure of speech known as an intensive plural or plural of majesty, where ‘the referent is a singular individual, which is, however, so thoroughly characterized by the qualities of the noun that a plural is used’,  ‘beast of beasts’. The context says that behemoth is the largest beast God made. And Job 40:17 says: ‘His tail sways like a cedar’ which certainly doesn’t fit Ross’s suggestion of a hippopotamus (unless it was a bonsai cedar, maybe). ‘Much as circumcision divided the first-century church, I see the creation date issue dividing the church of this century. As circumcision distorted the gospel and hampered evangelism, so, too, does young-earth creationism. Hovind: And have you read the long critique of what you just said on Answers in Genesis website [this is the Exposé referred to above] on this very topic you’re talking about? Hovind: And what’s your response? Ross: My response is, it doesn’t withstand the scrutiny of Hebrew scholarship. Of course, this is yet another appeal to authority—much easier than finding a demonstrable Hebrew error! And this is coming from someone demonstrably ignorant of even simple Hebrew. Krista: When you say it’s not critical, it doesn’t change the meaning, is that what you’re saying? Ross: It doesn’t change the argument that we’re trying to make one iota. If you look it up in a Bible, what you’ll notice is that you’ll see the plural form in the book of Job, and yet all the pronouns with respect to the creatures are in the singular. So even in the case of the English translations of the text, the translators, who are good Hebrew scholars, didn’t see this as a critical point. It’s a nit-pick point, but yeah, we’re gonna fix that nit-pick point. Here, Ross tried to downplay this as a ‘nit-pick’. However, this supposed argument from the Hebrew was a major plank in his effort to argue against the possibility that behemoth, that Job had seen, could be referring to a type of dinosaur. 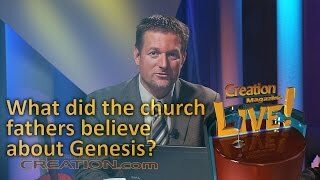 (Ross believes that dinosaurs died out many millions of years before Adam and Eve sinned and brought death and suffering into God’s ‘very good’ creation—Genesis 1:31). He also claimed it was immaterial because Behemoth was referring to a singular animal. But as can be seen in my Exposé cited above, I never doubted that the pronouns referring to behemoth were singular. Ross had also claimed that behema was the plural form, when this is the singular, and there is no way of wriggling out of this. This clearly demonstrates the Hebrew incompetence of his and his alleged experts. These erroneous claims by Ross should alert readers to the fact that Ross is often sloppy in his explanations or even outright mistaken. Worse, when ‘called’ on his mistakes, he will not graciously concede error but seeks to bluff his way through. In the one instance where his error was so undeniable that he had no choice but to concede, he did so grudgingly and coupled with an obvious attempt to ‘fudge’ the significance of the error, trying to turn it into an attack on his critics for alleged ‘nit-picking’. Readers should not be beguiled by his smooth talk, big words or appeals to authority, and instead should believe the clear teaching of Scripture. I thank the following for their specialist advice: Dr Danny Faulkner (who teaches astronomy at a secular US university) and Andrew Kulikovsky (Hebrew), but responsibility if there are any errors is mine alone. This article generated quite a bit of feedback, to which I’ve responded in Answering some Hugh Ross supporters. With his usual brilliant clarity, Jonathan Sarfati, author of the best- selling Refuting Evolution (Vols. 1 and 2) has produced a comprehensive and resounding refutation of the position of ‘progressive creationist’ Hugh Ross, whose views are causing massive confusion about science and the Bible. The most powerful and scientific defence of a straightforward view of Genesis creation ever written. (High School–Adult) 425 pages. (High School–Adult) See introductory chapter and some reviews. 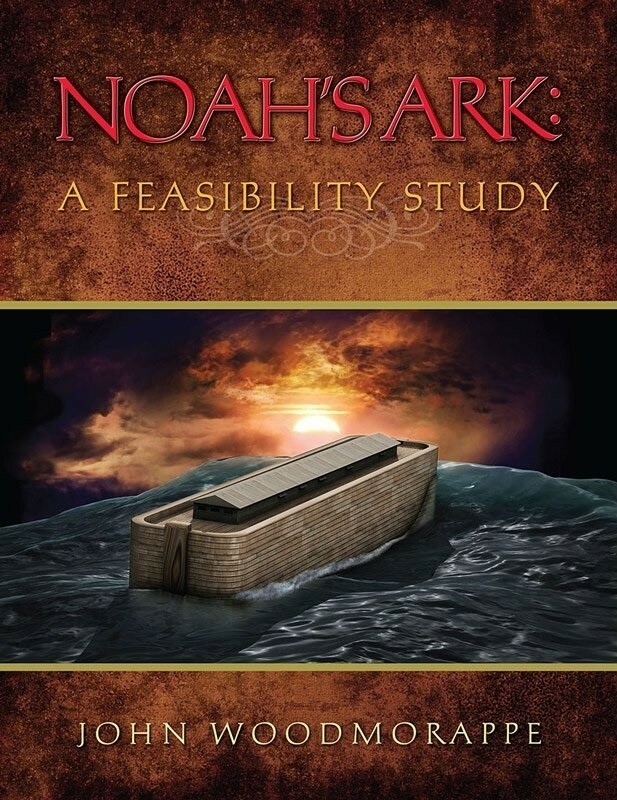 An in-depth study that provides detailed answers to the major criticisms of Noah’s Ark. How could Noah and his family have cared for 16,000 animals? How did they all survive for a year on the Ark? What did the carnivorous animals eat during and after the Flood? This book provides answers! Dr Kelly, an eminent systematic theologian, demonstrates from the Hebrew grammar of Genesis that no long-age compromise is possible. He also shows that a literal view of Genesis was overwhelmingly held by expert commentators throughout Jewish and Christian history. This changed only after ‘millions of years’ views became popular, and evangelical commentators wrongly felt they had to re-interpret God’s infallible word to fit man’s fallible theories. 272 pages; High school–Adult. The Bible teaches that the universe is just thousands of years old, and yet we can see stars that are billions of light-years away. In his book, Dr Humphreys explains his new cosmology with an easy-to-read popular summary and two technical papers. Also available, a companion DVD in spectacular 3-D imagery how a big bang and creation cosmos differ and why evidence supports a recent creation of the universe! Ross, H., How far tells how old, Connections, 2(3):2, 2000. Return to text. Homan, D.C., and Wardle, J.F.C., Direct distance measurements to superluminal radio sources, Astrophysical Journal, 535:575–585, 2000. Return to text. Hernstein, J.R., et al., A geometric distance to the galaxy NGC4258 from orbital motions in a nuclear gas disk, Nature, 400:539–541, 1999. Return to text. Ross, Ref. 1. Return to text. Homan and Wardle, Ref. 2. Return to text. Fazale Rana, email 27 September 1999. Return to text.